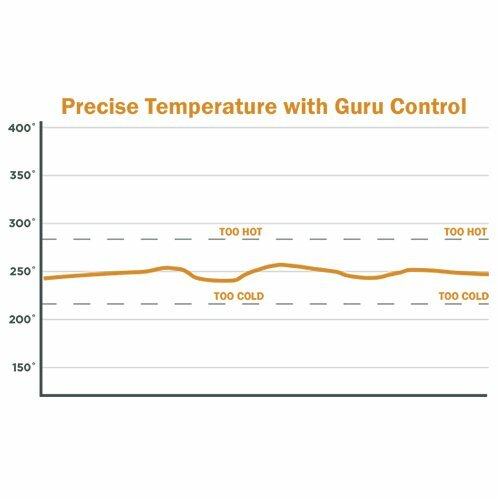 BBQ Guru have been one of, if not the best company to go to if you’re looking for an automatic temperature controller for your charcoal smoker. They have a vast range of products, from their lower-end model, the PartyQ, to one of the most popular temperature controllers, the DigiQ and of course their high-end model the CyberQ. The CyberQ cloud is the latest model in the CyberQ range and is by far the best one yet. During this CyberQ Cloud review we’ll look at how the new features works, how the CyberQ Cloud works in general and compare it to the Flame Boss 300. 1.5 How Well does the CyberQ Cloud Work? There is a huge range of adapters that the CyberQ offers. These will work with almost any smoker on the market. 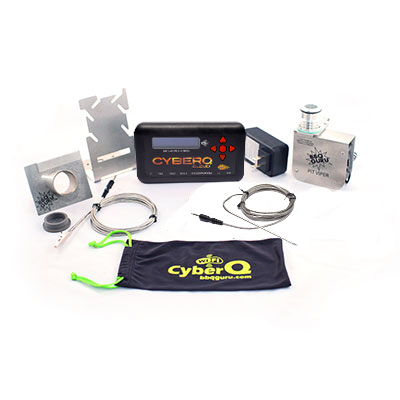 A lot of homemade or adapted smokers will also work with the CyberQ Cloud. 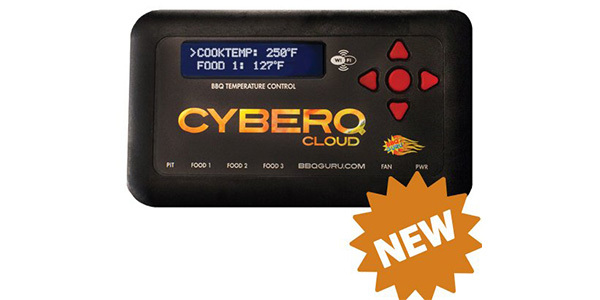 The BBQ Guru Cyber Q Cloud comes with a new, more powerful processor and increased memory to deliver tons of new features compared to the previous model. 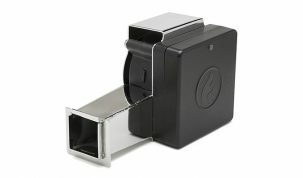 It can constantly and automatically regulate your smokers temperature without you having to put in any effort. 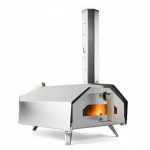 It basically turns your charcoal smoker into a high-tech oven. Included with the CyberQ Cloud are two probes. 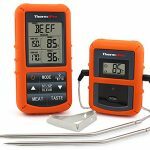 One probe to measure the heat inside the food you’re cooking and one to clip to your grate to measure the temperature inside your smoker. Both of these are six foot long and are well made and sturdy. They worked well, giving a quick and accurate temperature reading. A great feature with the Cloud is that you can have up to four probes working simultaneously. Three meat probes and the pit probe. 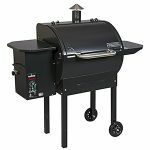 This is a great feature and allows you to cooks several different cuts of meat at a time. The extra meat probes are sold separately. 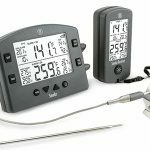 The main feature that BBQ Guru are pushing with the CyberQ Cloud is social sharing and cloud based monitoring and control. We don’t think these features are necessary at all, but after using them for a while think they are a great addition. 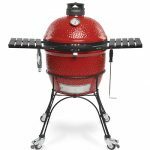 Using BBQ Guru’s new website, sharemycook.com, you are able to register your CyberQ Cloud, hook it up to WiFi and monitor and control your cook from any smart device or computer. This allows you to share your cooks with anyone in the world. If that’s not to your liking you can password protect them to share with only the people you want to be able to see. You can track and control your cooks live, being able to see temperature changes as they happen, all from your smartphone. All your cooks are recorded, the data from the CyberQ, the type of smoker you’ve used, the recipe. Everything is saved for later so you have a complete record of what, and how, you smoked your food. For a physical look at the features in action, check out this video from BBQ Bros. Most of this has been done before in one way or another, but what BBQ Guru have now brought out is the ability to share and interact with other people all over the world. You can watch live graphs from anyone, share yours and their cooks on social media, upload photos to personalize your cook and rate and comment on other peoples to let them know what you think. It’s a really nice system that I can see developing into a great little community of dedicated smokers. You can also set up the system to send you emails or send your phone notifications when your food is done or alarm you to other things, such as if the temperatures get too low. Another cool feature for the tech-savvy among you is the Amazon Alexa integration. This is definitely not needed but is a great little feature to show off to your friends. You can ask questions like, “Alexa, ask CyberQ Cloud what is the temperature of food 1?” or “Alexa, tell CyberQ Cloud, set the pit temperature to 250.” A very cool feature that offers little practically but is nice to have. The CyberQ Cloud also features some of the more conventional features. Such as an open lid detection system. When you open your grill’s lid, it will cause a quick drop in ambient temperature inside the pit. Normally the controller would start stoking the fire thinking it needed to raise the temperature which can overheat the coals so that when you close the lid, you get a temperature spike. The CyberQ Cloud uses algorithms to detect this and automatically counteracts the open lid to maintain a consistent temperature. A feature called Ramp Mode will detect when your food is approaching its final temperature and slowly ramp down the pit temperature. This helps to achieve a moist, tender final result without overcooking it. The general build quality of the CyberQ Cloud is very good. It’s made from plastic, but is strong and firm. There are five buttons that make for a simple way to navigate the menus, they’re made well and work how you’d expect. The six-foot probes are both very good. They manage to read very accurately and are sturdy enough to last a great many cooks. The design is fairly simple but efficient. The screen is nice, its bright and easy to read. It looks okay and doesn’t come with a stand of any kind, so mounting it is not an option. The Pit Viper fan is well designed and very versatile. It has an adjustable metal plate that changes the amount of air flow through the fan. 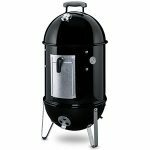 This is ideal for people with multiple smokers as it allows you to change the amount of air let through depending on the size of your smoker and what you’re cooking. The only way this could be made better is if the fan had variable speeds. The main aim of the CyberQ Cloud, and all automatic temperature controllers, is to make life as easy as possible. The CyberQ Cloud does this very well. The setup is very simple. 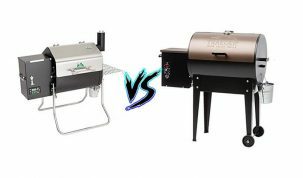 You simply attach the fan to your smoker using a grill adaptor (if it’s necessary) and then plug that and the probes into the CyberQ Cloud. Then simply place the other end of your probes on the cooking grate and in your meat. Lastly, plug in the power cable and you’re ready to go. Connecting the CyberQ to the WiFi is relatively simple. It takes a few minutes and might be a bit confusing to some but is explained well enough in the quick start guide that is included. The menus on the actual controller are simple to navigate and understand, but what makes the Cloud a joy to use is the ability to control and monitor it through the WiFi connection. This makes it even easier and actually quite fun. How Well does the CyberQ Cloud Work? As you’d expect from a temperature controller that costs over $300, it works very well. It’ll easily maintain temperatures within 1-3 degrees of the optimal temperature for hours on end. 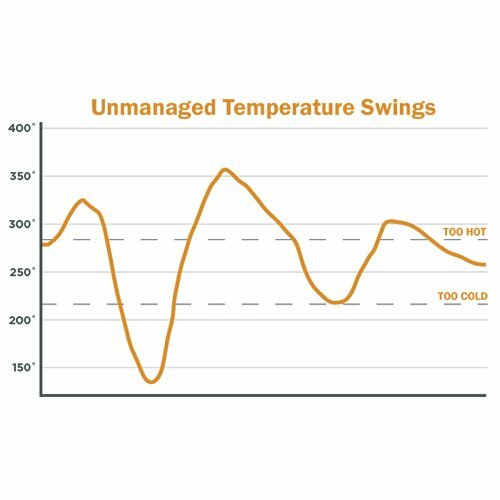 All you need to do is know what temperature you’re meat is ready at and you’re good to go. Use our smoking times and temperatures charts to help if you don’t know. Controlling and monitoring your cook in real time works fantastically well and we can see sharemycook.com becoming a great place to interact and show off your favorite cooks. Being able to control your smoker from the shops whilst it’s smoking away at home is a brilliant feature that you soon will wonder how you ever lived without. There isn’t much wrong with the CyberQ Cloud. 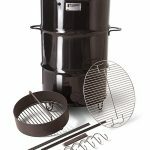 All it’s features work brilliantly together to produce a device that will make smoking on charcoal as easy as a pellet grill. But it’s not just that, with the addition of the social aspects it adds so much more. If you choose to, you’re able to connect with cooks from all around the world and see exactly how they do it. The only problem we can think of is the price. It is expensive. We think it’s justified though. You’re getting an amazing piece of technology that will save you a lot of time and effort in the long run. It’ll also help preserve charcoal as it burns so precisely, so will even save you a little money. It also made it onto our list of the best automatic temperature controllers. So, by now I’m sure you want one. 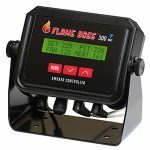 But did you know there’s a very good alternative called the Flame Boss 300? You can read our full Flame Boss 300 review here. The differences between the two are small. They both can handle up to four probes, they both have integrated WiFi features and they both keep the temperatures very steady. You’re going to be getting a brilliant temperature controller either way. Here are a few differences. 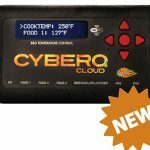 The BBQ Guru CyberQ Cloud just about wins on compatibility as it has a huge backlog of adapters for almost every smoker on the market. 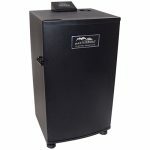 If you’re using a smaller brand smoker or even your own ugly drum smoker then the chances are that the CyberQ Cloud is going to work with it. But, Flame Boss’s universal adapter is said to work on a lot of other models so this isn’t a clear win. However, if you like to share everything with all your friends then that is a lot easier on the CyberQ because of all the brand new social integration with sharemycook.com. Getting your automatic temperature controllers connected to WiFi is now easier than ever. We found the process on the Flame Boss to be quicker and simpler, but the CyberQ Clouds process wasn’t difficult by any means. It was almost as easy, but you just have a bit more to do than with the Flame Boss as there are many more features available when you’re online. Both temperature controllers manage to maintain very precise temperatures but we’ve found that the Flame Boss is slightly more consistent. The difference is barely noticeable and the CyberQ still works incredibly well. With a bit of searching around, you’ll probably be able to find the Flame Boss cheaper as the CyberQ Cloud is almost brand new. 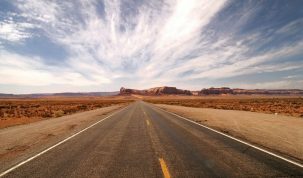 We hope this has helped you learn more about the new CyberQ Cloud including the minor things we didn’t like. If you need more information then let us know in the comments and we’ll gladly help out.